You are at right place. 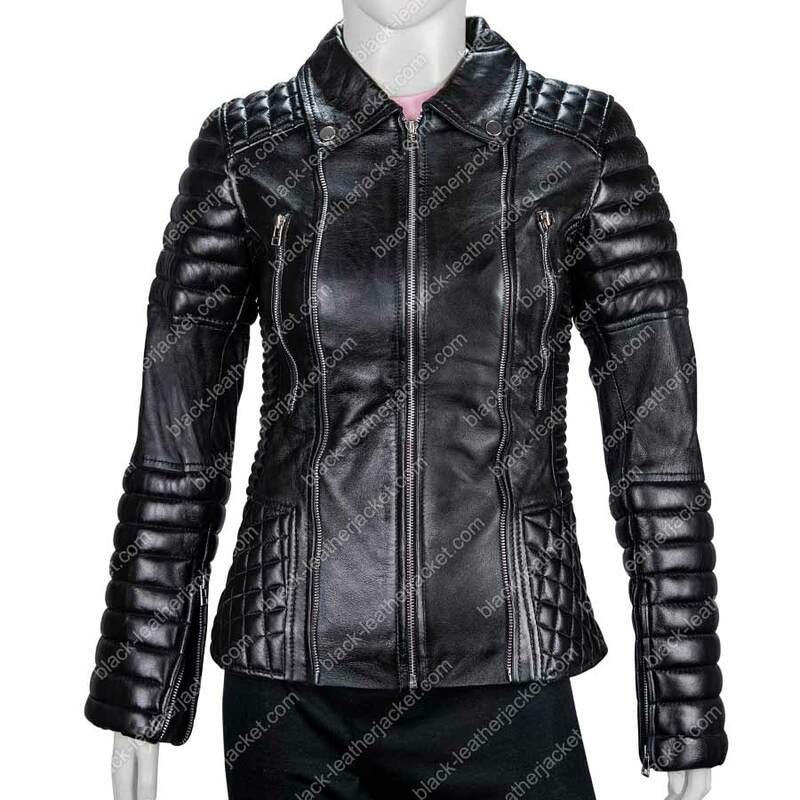 We www.black-leatherjacket.com introducing a stylish piece of clothing,try Rosie Huntington Leather Jacket crafted by our experienced tailor,fine stitching gives outstanding appeal. Super Model Roise Huntington was observed wearing this superb jacket while walking on street. Shirt style collar with front zipper closure. Vertical zippered pockets on top front. The leather utilized is 100% genuine along with viscose lining. 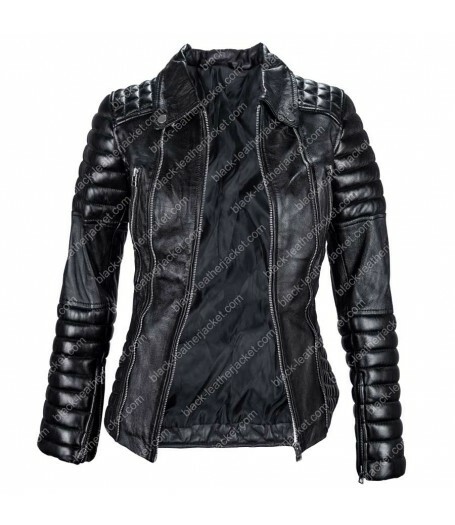 In a classic black color the jacket makes high attention having shirt style collar and front closing of metal zipper. 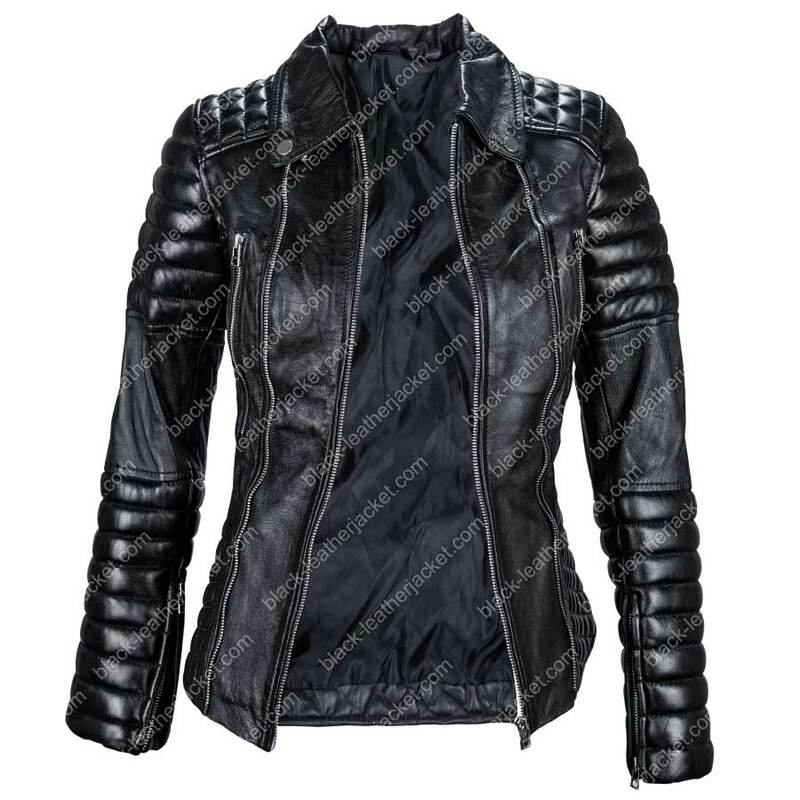 Rosie Huntington Whiteley Leather Jacket, has two vertical zipper pockets on front made it elegant piece of clothing. Long, fitted sleeves are padded with zipper cuffs in order to provide it more gorgeous look. Quilted details on waist and shoulder give you trendy appeal.